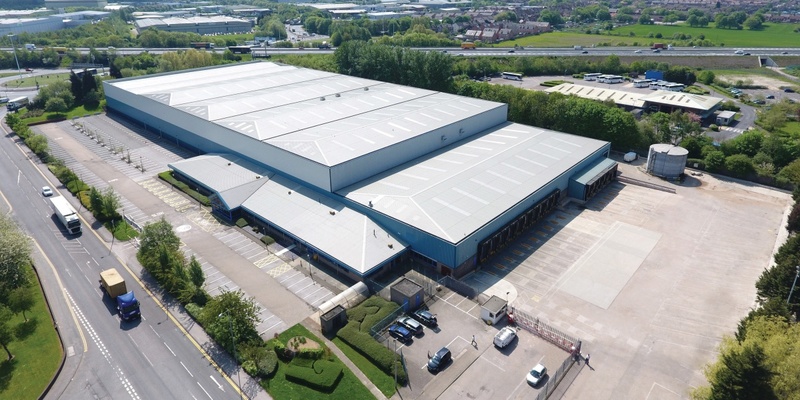 Leading property consultancy Gent Visick has been appointed to market one of West Yorkshire’s largest vacant warehouse and distribution units, which is ready for immediate occupation after undergoing an extensive multi-million-pound refurbishment programme. Wakefield 31 is being let on behalf of landlord Broadland Properties. The high specification unit covers more than 176,000 sq ft, directly off junction 31 of the M62, within Wakefield Europort. It was previously occupied by retail giant TK Maxx as a national distribution facility. The property benefits from an eaves height of up to 13.4 metres, 18 dock and ground level loading doors, a full sprinkler, lighting and heating system and includes approximately 11,000 sq ft of high-quality office and welfare space. Paul Mack, Director at Gent Visick, said: “We’re delighted to be involved with Wakefield 31. It is an extremely prominent building, fronting onto both Junction 31 and the M62, so it offers easy access straight onto the national motorway network. The unit has been refurbished to an exceptional standard and is now one of only a handful of large-scale distribution units in the North of England that is ready to move straight into. For more information please contact Paul Mack on 0113 245 6000.